Call Just Appliance Repairs at (321) 420-0025 for clothes dryer repair & maintenance in Port Orange, New Smyrna Beach, Edgewater, Oak Hill, Mims Titusville, Port St John, Cocoa, Merritt Island, Rockledge, Cocoa Beach, and Cape Canaveral. If you’ve noticed that your dryer just isn’t doing the excellent drying job that you’ve come to depend on then it is about time to give us a call. 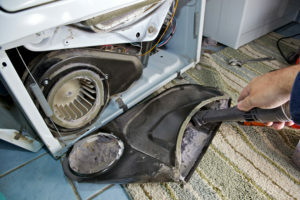 Usually, dryer repair is more economical than buying a new machine and a lot more convenient. We can diagnose your machine’s problem quickly and easily and sometimes even fix it on the first visit. 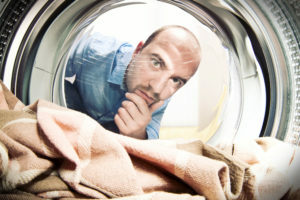 There is no job too small or too big for our dryer repair experts. We even repair stacked washers and dryers. There are many benefits to your household when a dryer is promptly repaired. Convenience is restored to your laundry day. A home or business with a properly working dryer uses energy more efficiently which reduces monthly electric bills. Better results with each load of laundry can be expected. There is a lowered chance of safety hazards such as fire or gas leaks. Whatever the brand or whatever the problem Just Appliance Repairs can help you. Most times we have the parts with us to get your dryer up and running on the first trip. We also have the expertise to work on the modern dryers with their onboard computer boards and multiple sensors that need to work in harmony for your dryer to work correctly. If you have questions regarding anything about how your dryer is performing, call us today. Contact us at (321) 420-0025 to set up an appointment today. Servicing Port Orange, New Smyrna Beach, Edgewater, Oak Hill, Mims, Titusville, Port St John, Cocoa, Merritt Island, Rockledge, Cocoa Beach, and Cape Canaveral.